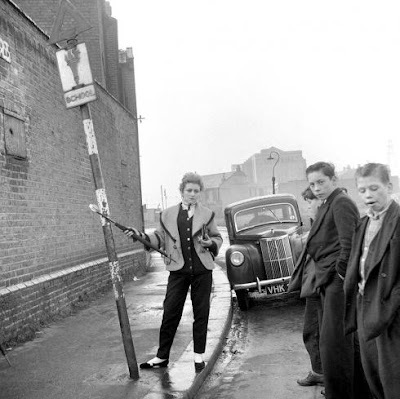 The rockers in postwar Britain 1950's were called "Teddy Boys" because they adapted Edwardian-era styling cues (drainpipe trousers, long coats, etc.) 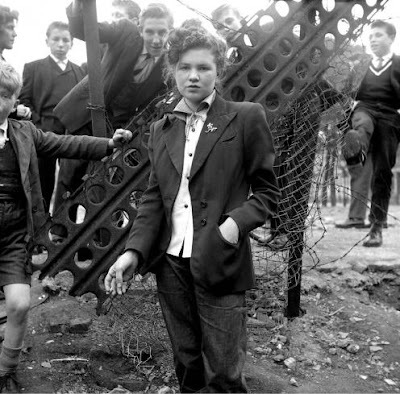 to American rockabilly fashion. 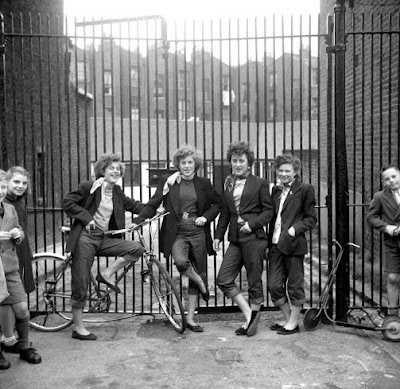 It's a scene that survived the fifties, kept going through the sixties, seventies, and is still around today. 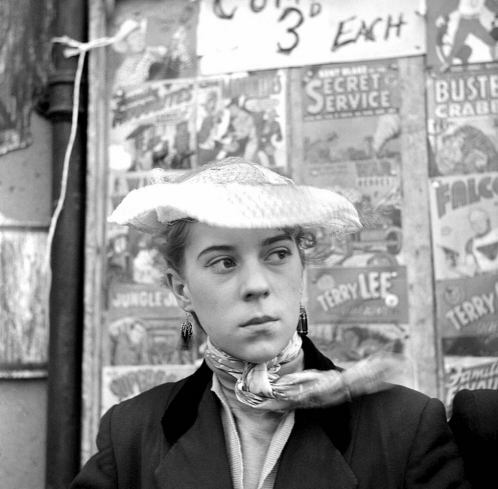 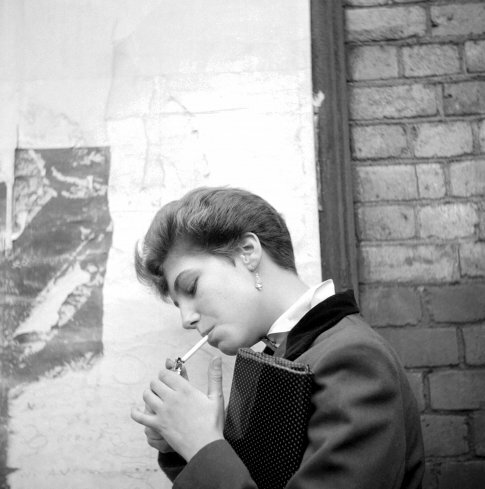 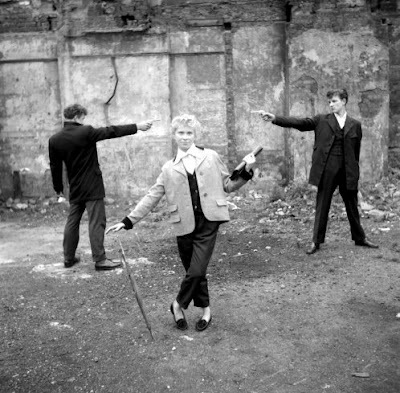 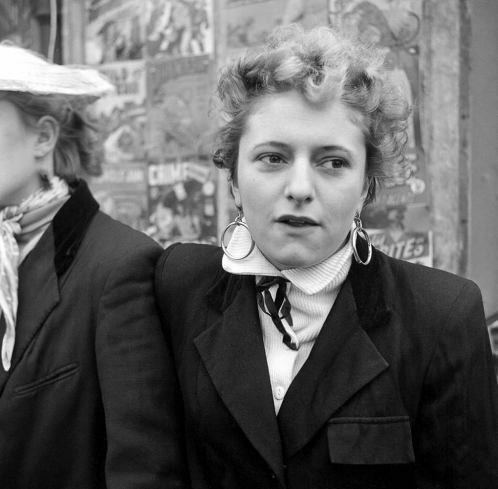 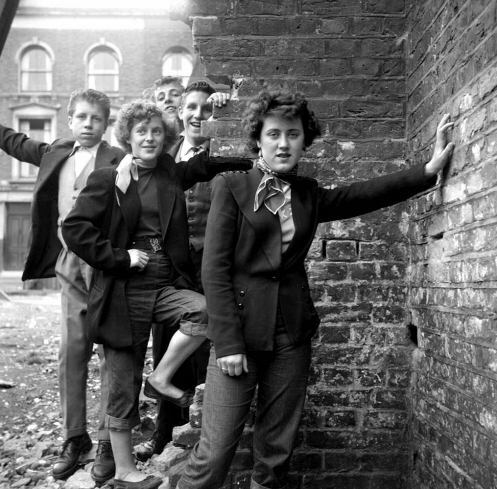 While Teddy Boys had a "uniform" of drainpipe trousers and long, drape jackets, "Teddy Girls" wore a variety of styles, usually with a subtle but distinctive Edwardian influence. 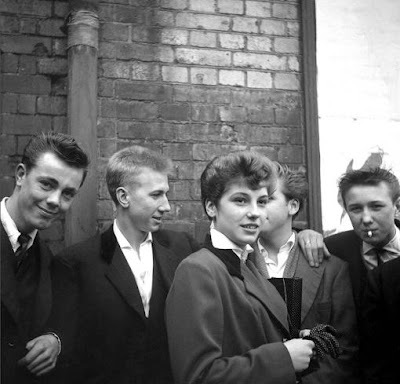 Often they wore mannish suits, including drape jackets, shirts with high (or wing) collars and black velvet ties, even jeans. A few young women wore their hair in short, mannish haircuts, which was then extremely unusual among women of any age. They were not, however, limited to androgynous and masculine dress. Coolie hats, boaters, lace-up espadrilles, headscarves, up-dos, plastic earrings, all were popular among young Teddy Girls.